This is the quote that a lot of the puppy mill owners are hung up on. God told them that they “have dominion” over EVERY living thing on Earth. This makes it okay for them to breed dogs. The more websites you scan through, the more you will see breeders quoting the bible or thanking God for their luck. There are over 10,000 puppy mills in the United States- Iowa alone has almost 300. 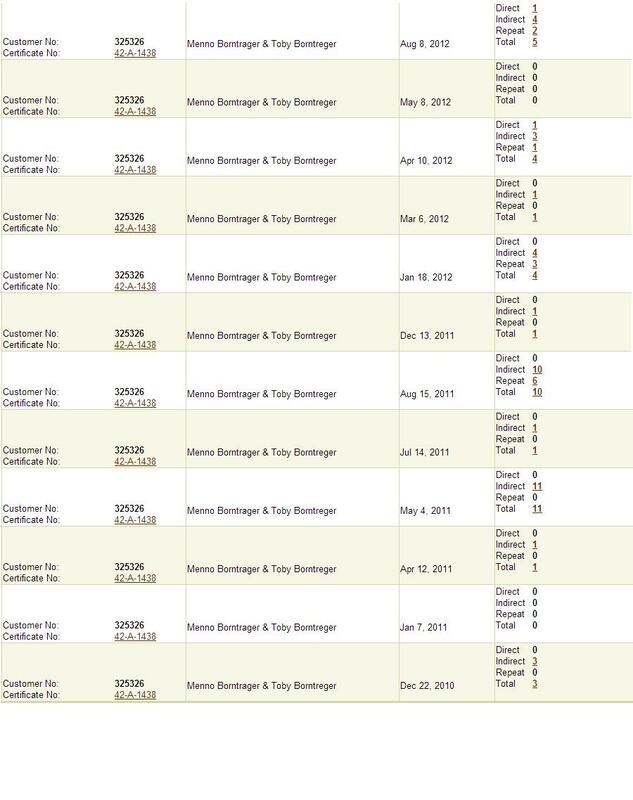 And those are just the LICENSED ones. What many people don’t realize is that many of the worst puppy mills in the country are owned by the Amish. Another group of people that is hiding behind faith. Before you continue reading this article, I want you to break the stereotype that you have in your mind. Forget all of that. The Amish life has been highly romanticized by the media because of the extreme privacy. However, thanks to a few dedicated people and the very same media that has glamorized it, it has recently become public knowledge that the Amish are very cruel to their animals- especially dogs. In this article, I want to focus on a few Amish breeders here in Iowa. Menno Borntreger, dog breeder ( there are 126 adults and 44 puppies on site per this inspection report) , has been cited over 41 times in the last two years– easily making him one of the worst breeders I have ever researched on the USDA database. Below is a screenshot of the USDA website, to show that I am not exaggerating. What you just read was upsetting for several reasons. Why on Earth is this man still allowed to breed? This violations alone are awful, not to mention the 36 previous ones in the last two years. So why doesn’t the USDA step in? As you can see directly above this– There is still time remaining for correction. The USDA continues to fail these dogs and there is absolutely nothing we can do about it– except to educate. No, the Amish aren’t the only ones with reports with violations like these, but it is time to blow the lid off of this “peaceful community”. Next, I move on to one of the many “Yoder” breeders that Iowa has. David Yoder, of Kalona Iowa consistently has horrible USDA violations. Although I am just sharing a few of his violations from the past, you can clearly see the neglect. The animals on his property during each inspection changes, however, it averages to be around 60 adult dogs and 30 puppies. David’s animals appear to be in constant distress, or so the USDA reports show. Yet, he is still allowed to run his operation. If our own personal animals were seen in this condition by a veterinarian or police officer, the animal would be taken away very quickly. But what happens when they are done with the dogs? Do they go to auction? Are they sold off? Personally, I don’t support the Amish at all. I won’t buy their products, and I suggest that my readers do the same. Don’t be fooled by the stereotype, as the reality is harsh. The animals in their care are suffering. Imagine. Iowa winters and summers without proper air conditioning or heat. 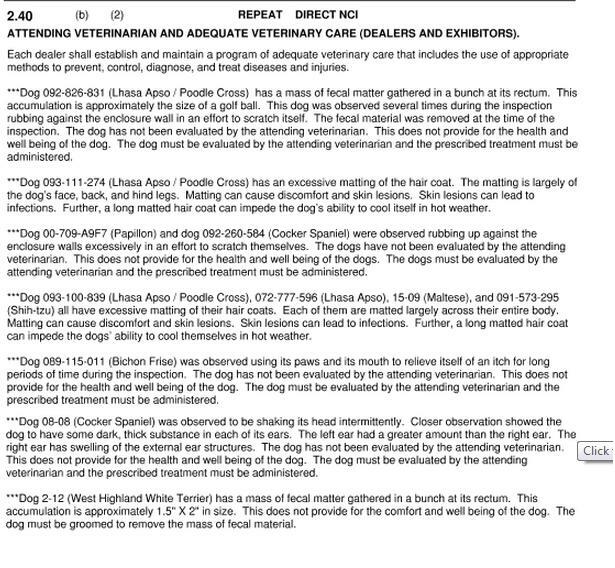 As you read in Yoder’s inspection reports, the temperature in his buildings were over 90 degrees and the dogs were visibly panting. The Amish have been to all of the dog auctions that I have rescued dogs at. The dogs are crammed into tiny cages and thrown into the back of filthy horse trailers. These dogs are nothing but products- ways for these breeders to make loads of money quickly and easily. However, the public is completely blind to what is going on behind this peaceful facade that they are putting out there. Please help me to educate the public. Share this article and show the world what really hides behind many of the Amish farms. More recently, I went to an auction at an Amish puppy mill… This is an event that I won’t ever be able to forget. Clayton Yoder of Kalona, Iowa was getting out of the breeding business for good. His dogs were in terrible shape, and I mean terrible. Missing eyes, rotten teeth, hernias… And this is all okay with the USDA. Yoder was licensed and inspected. Thankfully, at the end of the day over 100 dogs made it into rescue. One lucky dog that was rescued will stay in my heart forever. Listed as a 6 year old double dapple dachshund, with a special note that said, “Although she is blind, she is the best all around female that the seller has.” What else does she have? Check out the photo below. This sweetie girl was expected to breed every cycle for the rest of her life all while suffering from a missing eye, small, blind eye, missing and rotten teeth and a crooked jaw. She was breed every heat cycle. This is not just a cruel trait of the Amish, but puppy mills in general. Please, if you are looking to add a dog or cat to your family– ADOPT! Do not give these breeders your money. This is the face of the puppy mill parents. Please remember. “USDA licensed and inspected” doesn’t mean anything. Don’t let that be your security blanket. The USDA doesn’t care about anything more than the money the industry is bringing in. As you have seen above, USDA inspected just means that someone walks onto the property and views the neglect- they aren’t there to do anything about it. Here are some of the states that the Amish hold numerous puppy mills in, please note, these are not ALL of the state that there are Amish puppy mills. Just several. 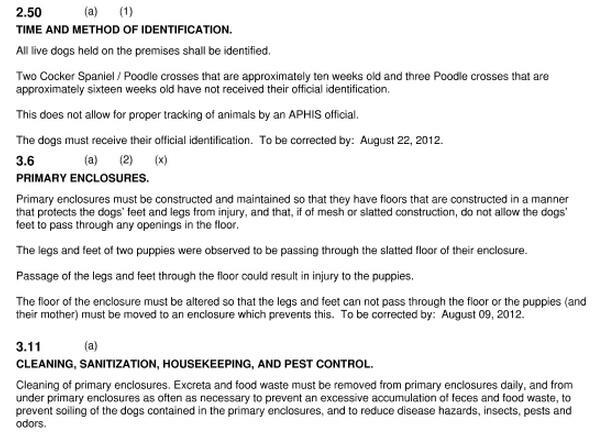 To view these maps in their entirety, as well as more of our puppy mill maps, please click here. Marvin and Joanna Newswanger, Maple Tree Kennels in Alta Vista, Iowa currently have over 331 adult breeding dogs with a history of violations including: cages with holes in wire flooring that are too wide and paws/bodies fall through, top of enclosures covered in hair and wood shaving dust (breeder reported that area is cleaned twice a year), and an ‘abundance of litters’ caused puppies to be housed in feed/bedding storage areas. 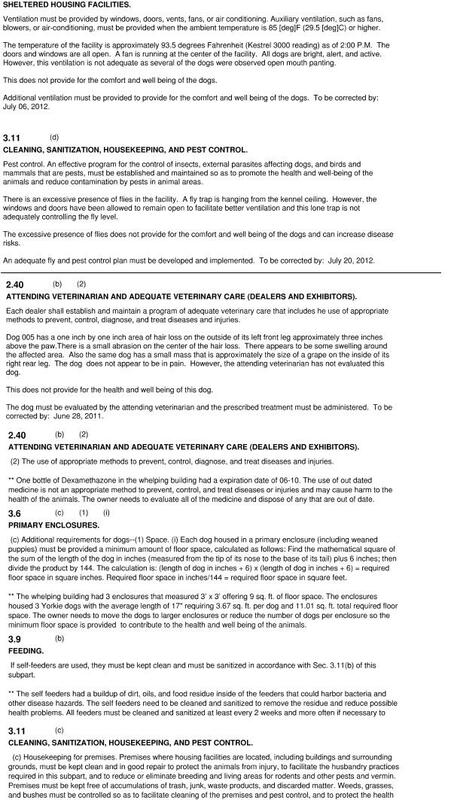 The Newswangers sell to many pet stores, you can read those connections here. To view more about the Amish and where their puppy mills are, click here. Don’t forget to like our facebook page to stay up to date on the latest animal issues! Why has this not been outlawed? The Amish aren’t really Christians. They are following a religion based on man’s laws cloaked in Bible verses taken out of context. The Bible actually says that the righteous man cares for the needs of his animals Proverbs 12:10. I don’t think God would approve of how they care for their animals or how they care for their own. I think they way they live is blasphemous- just watch Amish Mafia and you can see how contrary they are to what the Bible actually says. Oh God Kelly Kellyyyyyyy! I agree 100% with you girl! as Kelly says…WATCH THE AMISH MAFIA and you will see! I’m in tears again. I respected the Amish people for that they have chozen to live in Gods words, or how do I say that. But this is so cruel, so unnessecary, so not like in Gods way. There is nothing wrong in breeding but treat the annimals or other animals the way you like to be treated. This is a tragic situation that occurs in all of these communities to make money! Unfortunately, the mental health of these offender’s is transferred to their families! I agree, DO NOT purchase any of the Amish or Mennonite products! P.S. It seems that the only thing they truly worship is profit. Profiting from God’s most unconditional loving creatures sent to teach us what true peace and love is. The greed these people show is not Christian at all , money is motivating them for this kind of devils work sad but true . And why isn’t anything done for the abused sick animals. We all have to abide by the laws, do they not have to ? And Why does this happen over and over there should be steeped fines and then they would get it . Money is the root of all evil and they hide in their religion .And their not better than others who fight dogs too .It;s crime and their criminals for doing this to helpless animals I hope they rot in hell forever too . I am angered and sickened that they twist the Word of God to justify their greed for money! I’m so happy the day will come when We Will Be Judged For Our Actions, BOTH GOOD AND BAD! I am willing to sign Petitions, Emails, Donate to end the suffering of these innocent, loving animals and Pray the Day Comes Quickly that No One Will Be Able To Harm & Inflict Pain! I live in the middle of Lancaster County PA amish country. They are NOT the compassionate forgiving people you read about. Their puppy mills are often protected by our politicians who have alliances with the Dept. of Ag. They drive those horse & buggies in 100 degree weather. They abuse all their animals. There is no God in the Amish. It is a pretend religion of rules and false pretenses. To expect them to be Godly is over-rated, to be kind to their animals is even more a farce. They are cruel to their own people. The Amish are scum. The way they treat their animals is despicable, but that’s what you’d expect from vile, evil people. I’m certain Hell is full of them. how could you be that heartless and cruel.they these poor babies are creatures of God.how could you be so mean?But don,t forget if you have any heart at all God is watching you what goes around comes around. We must educate everyone. This particular form of animal abuse is heinous. !! Thank you for posting the truth. Jane…its not legal to cause the suffering of an animal. Except behind closed doors. This is why we need mandatory spay/neutering NOW and not highly regulated animal abuse. There should be ZERO births of animals condoned while thousands are euthanized in shelters every day, across the globe. Please do not allow the purposeful breeding and sale of pets. There is absolutely no justification for this activity. Anyone who justifies such activity is probably financially $$$ gaining from it. Boycott ALL forms of animal abuse, no matter how socially accepted or ignored they may be. Tell others. Thank you for caring! Janet, so absolutely true. Thank you for sharing this truth. There may be a special place in Hell reserved for animal abusers…next to the child abusers, etc., however, we cannot rely on this method of punishment. Instead, PLEASE visit these facilities as often as possible and report ALL the possible, perceived and witnessed cruelties & neglect you see to police, animal control, the dept. of agriculture, Facebook, friends, relatives, neighbors, etc. The animals are counting on you. Please. Thank you! Adriene, I can tell that you really care. That is wonderful! Please actively discuss this topic of Outright Breeding Cruelties with everyone you know…all your relatives, friends, neighbors, associates, work associates, clerks at stores, managers of pet shops, restaurant workers, postal workers, gas station attendants, etc. Petitions are awesome, but Spreading Knowledge is yet more awesome. 🙂 People need to know, without a doubt, that their dollars make a HUGE difference. Every dime that is spent buying an animal in this industry, supports vile cruelties, neglect, suffering, death. We MUST get state and Other laws changed, to prosecute all forms of animal cruelties. Suffering should not be supported, obviously. So, when you see an animal, always politely ask “Where did you get that animal?” And you will start to really hear the level of insanity that exists.. ALWAYS mention to such people what their money is supporting. Feel free to print out information to distribute, when you learn that someone purchased an animal. It is never OK, and you have my permission to inform others. 😉 We always want to use directness, but politeness and be highly informative and educational. Please, do tell others. Thank you!!! It’s good that you’ve posted this, spreading the word as much as possible. I hate to single out any particular group or contribute to stereotypes, but when there’s so much truth to it… They have a poor reputation within the horse community, too. They’ll breed and use up their horses, neglect their most basic and necessary medical care, then send them to the auction where they’re bought by kill buyers for slaughter houses. The lucky few end up at horse rescues. But the health issues these horses come in with… especially the hoof neglect! It’s horrifying. i condemn these religous freaks. they hide behind their beliefs which mean nothing. they make it up as they go. hell is waiting for them. we shall see how u explain this to GOD. We have adopted all our animals. SHAME on these Amish and ALL Puppy Mills! I will always rescue, never buy a dog. God Im sure meant we should look after all animals not use and abuse them. Please stop this cruelty ! As an Insurance on occasion I would have to counsel with clients and adjusters as a result of injury to them by a 3rd party. In this case an Amish family had been hit by a twice previously convicted drunk driver as a result killing onw of the horses drawing their carriage at the scene and the other shortly thereafter. Also killed was a nine day old baby that was ejected from its mother’s arms upon impact. We encouraged the family to appear in court to testify against the driver to ensure his incarceration and to obtain a financial settlement from this clown. The reply? God will give us more babies but we want money for two good horses to replace the ones killed These folks see animals as chattel and they are only good for making money or working to make money. They must be able to work in order to be fed and if they are hurt and cannot work for feed they are destroyed. What the hell! 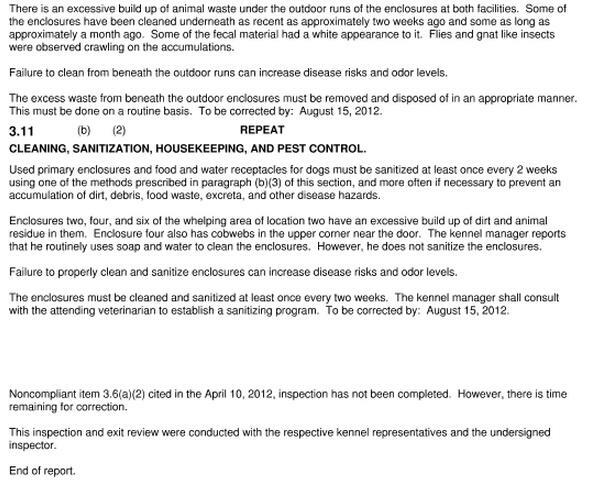 Later as a volunteer for the OHS I encountered the same issues within the Mennonite community post BSE scare. No longer able to farm beef they turned to puppy mills.The poor creatures are brutalized, starved, abused, neglected in cold barns and killed or for the almighty buck. I am a physician in Ohio. We have a large Amish population. What you read above occurs in Ohio as well. The care of their horses is somewhat better, since they need them for work, but still abominable. What is worse, though, is their treatment of women. I worked briefly in an area of Amish, and learned from discussions with a surgeon iI worked with that when the boys are ill, they are rapidly attended to. When the girls or women are ill, there is no similar urgency. It seems that they wait to see if the illness will take care of itself. I witnessed one of these cases myself. No one does anything about this kind of abuse either. So, on another important point, the delusion that the Amish are these peaceful, harmless people is dead wrong. It seems that all manner of barbarisms are excused by our society if the perps are clever enough to claim it is a matter of religion. There is some unwritten rule that we are supposed to respect behaviors based on religious views well past the point that normally would result in society interceding to protect innocents. I shared article. Very disheartening, although enlightening, to learn of the Amish communities cruelty toward animals, including these horrendous puppy mills. It certainly changes the positive impression I have had of the Amish. Although I have heard they are among the largest puppy mill breeders. There is no excuse for this, and no way they can justify their greedy behavior regarding the misery they put these dogs through for their personal, monetary gain. I no longer think kindly of them as a peaceful, loving community. They have no compassion and therefore, little heart. Thank you for sharing. Shame on all the Puppy Mill operators, especially the Amish. Dogs are a gift from above to humans, not to treat them terribly and exploit them for a profit. I will never, ever buy anything Amish as long as I live. I want to puke! This is disgusting! I NEVER buy a single product from the Amish. They are monsters with the way they treat animals. And I tell everyone I know to steer clear of ANYTHING the Amish are selling because of their cruel treatment of animals. And the vets who work for the USDA have no morals, absolutely no soul. Shame shame shame on them all.